Snohomish County (/snoʊˈhoʊmɪʃ/) is a county located in the U.S. state of Washington. With an estimated population of 814,901 as of 2018, it is the third-most populous county in Washington, after nearby King and Pierce counties, and the 76th-most populous in the United States. The county seat and largest city is Everett. The county was created out of Island County on January 14, 1861 and is named for the Snohomish tribe. Snohomish County is included in the Seattle-Tacoma-Bellevue, WA Metropolitan Statistical Area. The western portion of the county, facing Puget Sound and other bodies of water, has the majority of its population and cities. The eastern portion of the county is mountainous and is part of the Cascade Mountains and the Mount Baker-Snoqualmie National Forest, with few settlements along major rivers. "Snohomish" comes from the name of the largest Native American tribe in the area when settlers arrived in the 19th century. The name is spelled as "Sdoh-doh-hohbsh" in the Lushootseed language and has a disputed meaning with unclear origins, with Indian agent Dr. Charles M. Buchanan once saying that he had "never met an Indian who could give a meaning to the word Snohomish" in his 21 years with the Tulalips. Chief William Shelton, the last hereditary tribal chief of the Snohomish tribe, claimed that it meant "lowland people", a name associated with the tribe's location on the waters of the Puget Sound; other scholars have claimed "a style of union among them", "the braves", or "Sleeping Waters". The name is also used for the Snohomish River, which runs through part of the county, and the City of Snohomish, the former county seat that was renamed after the formation of the county. The current spelling of the name was adopted by the Surveyor General of Washington Territory in 1857, with earlier documents and accounts using alternative spellings. John Work of the Hudson's Bay Company recorded the name "Sinnahmis" in 1824, while the Wilkes Expedition of 1841 used "Tuxpam" to describe the Snohomish River. The same river was named "Sinahomis" by Captain Henry Kellett in 1847, and was accepted by the U.S. government for several years. Snohomish County was originally inhabited by several Coast Salish groups, predominantly settled along the western coastline and near the region's rivers. The Snohomish were the largest group and occupied an area from present-day Warm Beach to Shoreline, while Stillaguamish lived in the Stillaguamish River basin. The region was first charted and named by European explorers in the late 18th century, beginning with Captain George Vancouver and his British expedition. Vancouver arrived in Puget Sound and Port Gardner Bay on June 4, 1792, landing near present-day Everett. The Treaty of Point Elliott was signed at present-day Mukilteo on January 22, 1855, marking the cession of Coast Salish territories in the Puget Sound lowlands. The Tulalip Indian Reservation was established to house the remaining tribes, including the Snohomish, Snoqualmie, and Skykomish. Snohomish County was created out of Island County on January 14, 1861. The territorial legislature designated Mukilteo, the area's largest settlement, as the temporary county seat in January 1861. The county government was permanently moved to Cadyville, later Snohomish, in July of that year. After the incorporation of the city of Everett in 1893, the city's leaders attempted to move the county seat from Snohomish. A countywide general election on November 6, 1894 chose to relocate the county seat to Everett, amid controversy and allegations of illegal votes. After two years of litigation between the cities of Snohomish and Everett, the county seat was officially relocated to Everett in December 1896. One of the first county censuses was taken in 1862 by Sheriff Salem A. Woods. Early important pioneers in the Snohomish County region included E. F. Cady of Snohomish, E. C. Ferguson of Snohomish and Isaac Cathcart. According to the U.S. Census Bureau, the county has a total area of 2,196 square miles (5,690 km2), of which 2,087 square miles (5,410 km2) is land and 109 square miles (280 km2) (5.0%) is water. Snohomish County is located in the western part of Washington, about halfway between the state's north and south borders. Possession Sound and Puget Sound define the county's western border, while the eastern border is defined by the summits of the Cascade Range. Four counties are adjacent to Snohomish County: Skagit County to the north, Chelan County to the east, King County to the south, and Island County to the west. The county's surface is covered by plains in the west and mountainous terrain in the east. The Cascade Range passes through the eastern part of the county and includes the highest point in Snohomish County, Glacier Peak at 10,541 feet (3,212.90 m) above sea level. Most of the eastern part of the county is preserved by the Mount Baker National Forest and Snoqualmie National Forest, which are consolidated into the Mount Baker-Snoqualmie National Forest. The mountains provide a source for several major rivers in the east, including the Snohomish, Skykomish, Snoqualmie, and Stillaguamish, that in turn form major bodies of water to the west. As of the 2010 census, there were 713,335 people, 268,325 households, and 182,282 families residing in the county. The population density was 341.8 inhabitants per square mile (132.0/km2). There were 286,659 housing units at an average density of 137.3 per square mile (53.0/km2). The racial makeup of the county was 78.4% white, 8.9% Asian, 2.5% black or African American, 1.4% American Indian, 0.4% Pacific islander, 3.8% from other races, and 4.6% from two or more races. Those of Hispanic or Latino origin made up 9.0% of the population. In terms of ancestry, 20.3% were German, 12.6% were Irish, 12.2% were English, 8.2% were Norwegian, and 3.6% were American. Of the 268,325 households, 35.2% had children under the age of 18 living with them, 52.4% were married couples living together, 10.4% had a female householder with no husband present, 32.1% were non-families, and 24.3% of all households were made up of individuals. The average household size was 2.62 and the average family size was 3.12. The median age was 37.1 years. The median income for a household in the county was $66,300 and the median income for a family was $77,479. Males had a median income of $56,152 versus $41,621 for females. The per capita income for the county was $30,635. About 5.9% of families and 8.4% of the population were below the poverty line, including 10.8% of those under age 18 and 7.3% of those age 65 or over. As of the 2000 census, there were 606,024 people, 224,852 households, and 157,846 families residing in the county. The population density was 290 people per square mile (112/km²). There were 236,205 housing units at an average density of 113 per square mile (44/km²). The racial makeup of the county was 85.63% White, 1.67% Black or African American, 1.36% Native American, 5.78% Asian, 0.28% Pacific Islander, 1.92% from other races, and 3.36% from two or more races. 4.72% of the population were Hispanic or Latino of any race. 16.2% were of German, 10.0% English, 8.8% Irish, 8.4% Norwegian and 6.6% United States or American ancestry. There were 224,852 households out of which 37.30% had children under the age of 18 living with them, 56.00% were married couples living together, 9.80% had a female householder with no husband present, and 29.80% were non-families. 22.60% of all households were made up of individuals and 6.50% had someone living alone who was 65 years of age or older. The average household size was 2.65 and the average family size was 3.13. In the county, the population was spread out with 27.40% under the age of 18, 8.50% from 18 to 24, 33.00% from 25 to 44, 22.00% from 45 to 64, and 9.10% who were 65 years of age or older. The median age was 35 years. For every 100 females, there were 100.10 males. For every 100 females age 18 and over, there were 98.20 males. The median income for a household in the county was $53,060, and the median income for a family was $60,726. Males had a median income of $43,293 versus $31,386 for females. The per capita income for the county was $23,417. About 4.90% of families and 6.90% of the population were below the poverty line, including 7.60% of those under age 18 and 7.80% of those age 65 or over. The county executive is Dave Somers, a Democrat. Somers is a former Snohomish County Councilman and took office as county executive on December 23, 2015, having won the seat from incumbent and fellow Democrat John Lovick. The county executive seat was chartered in the 1979. The first county executive was conservative Democrat Willis Tucker of Snohomish from 1980 to 1991. Following Tucker, the next county executive was Democrat Bob Drewel from 1991 to 2002, followed by Democrat Aaron Reardon from 2003 to 2013. Reardon resigned on May 31, 2013, amid a series of political scandals, and was replaced by former Snohomish County Sheriff and state legislator John Lovick for the remainder of his term. 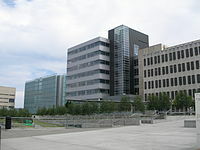 Snohomish County is one of the most-populous counties in the United States without a four-year, baccalaureate degree-granting institution. Columbia College offers AA all the way up to a Master's in Business along with other Associate and bachelor's degrees. Everett Community College and Edmonds Community College provide academic transfer degrees, career training and basic education in Snohomish County. Together, the two serve more than 40,000 people annually. About 40 percent of all high school graduates in Snohomish County begin their college education at Edmonds or Everett community college. Everett Community College is the legislatively appointed leader of the University Center of North Puget Sound, which offers 25 bachelor's and master's degrees through Western Washington University, Washington State University, Central Washington University, Eastern Washington University, The Evergreen State College, Hope International University, and the University of Washington Bothell. Edmonds Community College and Central Washington University have worked together since 1975 to provide higher education in Snohomish County. After earning a two-year degree online or on campus from Edmonds Community College, students can continue their studies for a bachelor's degree from Central Washington University-Lynnwood in Snoqualmie Hall, a shared building on the Edmonds CC campus. Residents receive much of their information from Seattle-based media, the most prominent of which include The Seattle Times and regional TV news stations. The Herald in Everett is the county's most popular daily newspaper, while weekly newspapers such as the Snohomish County Tribune, Everett Tribune, Marysville Globe, and The Monroe Monitor serve their respective communities. The county is part of the Seattle broadcast television market and is served by several regional television news stations, including KOMO, KING, KIRO, KCTS, and KCPQ. Local radio stations based in the county include KKXA, KRKO, KSER, and KWYZ. There are also smaller local publications, with significant online presences: The Monroe Monitor, My Edmonds News, Edmonds Beacon, My Everett News, The Mountlake Terrace News, News of Mill Creek, The Mukilteo Beacon, The Snohomish County Reporter, The Snohomish Times, and The Gold Bar Reporter. Snohomish County has five major routes that connect the county to the other counties and other areas. There are four north–south routes, which are Interstate 5, Interstate 405, State Route 9, and State Route 99. The only complete east–west route is U.S. Route 2. Snohomish County is served by three public transit systems: Community Transit, which provides local service within the county (apart from the city of Everett) and commuter service to the Boeing Everett Factory, Downtown Seattle and the University of Washington campus; Everett Transit, a municipal system serving the city of Everett; and Sound Transit, which provides commuter rail service and express bus service connecting to regional destinations in Seattle and Bellevue. Sound Transit runs four daily Sounder commuter trains at peak hours between Everett Station and Seattle, stopping at Mukilteo and Edmonds. Intercity rail service is provided by Amtrak, which has two lines operating within Snohomish County: Amtrak Cascades between Seattle and Vancouver, British Columbia, stopping in Edmonds, Everett, and Stanwood station; and the Empire Builder between Seattle and Chicago, Illinois, stopping in Edmonds and Everett. Intercity bus service is provided by Greyhound Lines and Northwestern Trailways from Everett Station. Community Transit also operates a bus rapid transit service called Swift from Everett Station to the Aurora Village in Shoreline along the State Route 99 corridor, which opened in 2009; the service is anticipated to be expanded in 2018, with a new line serving the Airport Road and State Route 527 corridors, from the Boeing Everett Factory to Bothell via Mill Creek. Sound Transit is also planning to extend Link Light Rail service from Northgate to Lynnwood in 2023, having won voter approval for the project in 2008. An additional extension to Everett, not yet approved by voters, has been proposed as part of a regional transit package. Snohomish County has one major airport: Paine Field, otherwise known as Snohomish County Airport, which has had passenger service since March 2019. There are three smaller public airports that are open to general aviation: Arlington Municipal Airport in Arlington, Darrington Municipal Airport in Darrington, and Harvey Field in Snohomish. The county also has several private airports, including the Frontier Airpark and Green Valley Airfield in Granite Falls. The Martha Lake Airport in Martha Lake was a former private airport that was closed in 2000 and was converted into a county park that opened in 2010. Snohomish County is also connected to adjacent counties by two ferry routes operated by Washington State Ferries. The Edmonds–Kingston ferry carries SR 104 between Edmonds and Kingston in Kitsap County. The Mukilteo–Clinton ferry carries SR 525 from Mukilteo to Clinton on Whidbey Island. ^ a b "State & County QuickFacts". United States Census Bureau. Retrieved April 22, 2019. ^ a b c d Riddle, Margaret (August 9, 2006). "Snohomish County — Thumbnail History". HistoryLink. Retrieved March 15, 2017. ^ "History of Snohomish County". Snohomish County. Retrieved May 23, 2016. ^ a b c Meany, Edmond S. (April 1922). "Origin of Washington Geographic Names". The Washington Historical Quarterly. University of Washington Press. 13 (2): 279. JSTOR 40428381. OCLC 1963675. Retrieved February 18, 2019 – via HathiTrust. ^ Blake, Warner (March 10, 2008). "Snohomish — Thumbnail History". HistoryLink. Retrieved February 18, 2019. ^ Riddle, Margaret (December 2, 2010). "Washington Territorial Legislature creates Snohomish County (out of Island County) on January 14, 1861". HistoryLink. Retrieved January 13, 2017. ^ Conover, C. T. (April 23, 1953). "Just Cogitating: When Snohomish Was Without White Women". The Seattle Times. p. 43. ^ Humphrey, Robert (January 9, 1992). "When Everett 'stole' the county courthouse". The Seattle Times. p. F4. Retrieved January 13, 2017. ^ "American FactFinder". Retrieved April 22, 2019. ^ "U.S. Decennial Census". United States Census Bureau. Retrieved January 7, 2014. ^ a b c "DP-1 Profile of General Population and Housing Characteristics: 2010 Demographic Profile Data". United States Census Bureau. Retrieved March 6, 2016. ^ "DP02 Selected Social Characteristics in the United States – 2006-2010 American Community Survey 5-Year Estimates". United States Census Bureau. Retrieved March 6, 2016. ^ "DP03 Selected Economic Characteristics – 2006-2010 American Community Survey 5-Year Estimates". United States Census Bureau. Retrieved March 6, 2016. ^ "County faces stormy seas with new executive at the helm". The Everett Herald. Retrieved January 4, 2016. ^ a b c d Brooks, Diane (July 2, 2000). "Willis Tucker Obituary: He led his county into new age with a smile". Seattle Times. Retrieved January 5, 2011. ^ "Building renamed for Bob Drewel". The Seattle Times. November 7, 2007. ^ Stevick, Eric (2008). "Former County Executive Bob Drewel honored with building". The Everett Herald. ^ Heffter, Emily (February 21, 2013). "Embattled Snohomish County executive stepping down". Seattle Times. Retrieved February 21, 2013. ^ Haglund, Noah; North, Scott (May 31, 2013). "Reardon's departure will bring changes for county leadership". The Everett Herald. Retrieved May 24, 2016. ^ Haglund, Noah; North, Scott (June 3, 2013). "Lovick replaces Reardon as county executive". The Everett Herald. Retrieved May 24, 2016. ^ "County Council". .snohomishcountywa.gov. Retrieved January 12, 2018. ^ Leip, David. "Dave Leip's Atlas of U.S. Presidential Elections". uselectionatlas.org. Retrieved March 16, 2018. ^ Stephanson, Ray (April 4, 2007). "UW branch a sound option". The Seattle Times. ^ a b c d "Media". Snohomish County. Retrieved May 24, 2016. ^ Community Transit Bus Plus: Schedules & Route Maps (PDF) (March 2016 ed.). Community Transit. March 27, 2016. Archived from the original (PDF) on March 27, 2016. Retrieved May 24, 2016. ^ Everett Station (PDF). Everett Transit Bus Schedule & Service Guide. Everett Transit. February 21, 2016. Retrieved May 24, 2016. ^ Regional Transit Map Book (PDF) (Map). Sound Transit. February 2014. pp. 5–7. Archived from the original (PDF) on September 4, 2015. Retrieved May 24, 2016. ^ Ride the Wave Transit Guide (PDF) (March–Sept. 2016 ed.). Sound Transit. March 19, 2016. pp. 25, 41–54, 60–65. Archived from the original (PDF) on March 27, 2016. Retrieved May 24, 2016. ^ Passenger Rail System - Washington State (PDF) (Map). Washington State Department of Transportation. January 2012. Retrieved May 24, 2016. ^ Travel Washington Statewide Intercity Bus Network (PDF) (Map). Washington State Department of Transportation. 2010. Archived from the original (PDF) on February 1, 2017. Retrieved May 24, 2016. ^ "Swift Bus Rapid Transit". Community Transit. Archived from the original on October 3, 2011. Retrieved May 24, 2016. ^ "Second Line of Swift". Community Transit. Archived from the original on September 8, 2015. Retrieved May 24, 2016. ^ "Lynnwood Link Extension". Sound Transit. Retrieved May 24, 2016. ^ Haglund, Noah (March 24, 2016). "Transit ballot measure would extend rail to Everett — in 2041". The Everett Herald. Retrieved May 24, 2016. ^ "Airport & Land Use Compatibility Project". Snohomish County Planning and Development Services. 2015. Retrieved February 18, 2019. ^ "Martha Lake Airport Park". Snohomish County Parks and Recreation. Retrieved August 15, 2015. ^ Lee, Jessica (August 7, 2017). "What happens to drivers who cut lines at Washington State Ferry terminals?". The Seattle Times. Retrieved February 18, 2019. Jonathan Stuart Burr, Organized Labor's Influence on Local Elections: A Case History of Snohomish County, Washington. Master's thesis. Columbus State University, 2005. An Illustrated History of Skagit and Snohomish Counties, Washington, Their People, Their Commerce and Their Resources: With an Outline of the Early History of the State of Washington. Chicago: Interstate Publishing Co., 1906. Wikimedia Commons has media related to Snohomish County, Washington. Snohomish County Central Labor Council records. 1915-1999. Approximately 25 cubic feet. At the Labor Archives of Washington, University of Washington Libraries Special Collections.